Leading Manufacturer of pet strap and packaging pet strap from Bengaluru. With an increase proportion of technology, we are manufacturing and supplying a qualitative assortment of PET Strap. This PET strap is used as an excellent replacement of steel strap for securing heavy weight units and thus, has gained huge appreciation in the market. 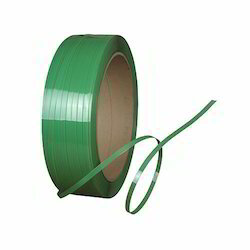 Offered PET strap is widely used for heavy duty packaging. The offered PET strap can be availed at competitive price within a stipulated time frame. 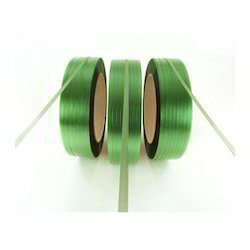 We are one of the manufacturer and supplier of Packaging PET Strap. These offered range are highly appreciated by our client's in the market. In addition of this we are offering our range in market leading price. Looking for PET Strap ?